PS3Xploit Team is pleased to announce the official release of the PS3Xploit Tools v3.0 project nicknamed 'HAN'. The PS3Xploit Team has done it yet once again with an incredible breakthrough that has now just gone LIVE for everyone and as the recent teaser recently suggested it's for those later Slim & SuperSlim models who are not capable of installing CFW (aka NoN CFW Compatible Models). While not a HEN (Homebrew Enabler) it's a volatile dose of "HAN" (short for etHANol). This version of the hack has evolved to give something to every PS3 model now. 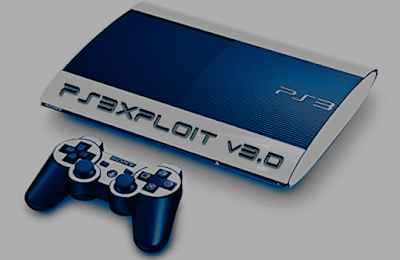 All models will now have the ability to install PS3 games backup pkg and unlock PS1/PS2/PSP emulators for use among other features as outlined by developer bguerville who is going to take from here with this introduction of PS3Xploit v3.0 -- Codenamed: "HAN"
PS3Xploit Tools v3.0 is a suite of 6 tools supporting both official firmware versions 4.81 & 4.82. The only pre-requirement to use HAN is to have an activated PSN user account. It's recommended not to use your main PSN account but rather a spare one. The principle behind HAN is quite simple, due to a vulnerability in the way npdrm content is managed, it is possible to resign game related files with custom keys, patch vsh & install resigned pkg from XMB. 1. HAN Installer - Copies necessary system files to PS3 to run HAN. 3. HAN ACT/IDPS Dumper - Dumps current user profile user act.dat & PS3 IDPS to USB. 4. HAN ACT/RIF Copier - Copies the resigned act.dat & generated rif file from USB to the current user profile. The 'HAN' project is solely relying on userland exploitation to provide digital backups support for the majority of PS3 Games as well as PS1/PS2/PSP Emulators (within the ps3 firmware) and the ability to install PKG files from USB. PS3 PKG Game backups need to be prepared with TABR and only ps3 games having an available "game update" are supported. PKG files are installed from the Games XMB column, using a version of the Rebug Package Manager tweaked for this project. On USB of course, the FAT32 limitation of 4Gb is still in effect, it's a partition type limitation, nothing we can do about that. However workarounds using a local server can be used to remedy the situation if required. To get best results initializing the exploit from a remote website like ps3xploit.com, remember to load the pages directly. Don't browse to an exploit page from other pages. Use a blank homepage & create favourites to HAN Enabler & the other pages. Use the favourites to access any page from complete scratch. Reload the browser between exploits. This tool will copy files from USB to Flash Memory to install OFW Package Manager. This tool will enable the HAN patches. This tool will dump your activation file (act.dat) and your IDPS. When init ready, click "Enable Debug PKG" button to activate patches. Once browser closes (default option) you can install Debug pkg packages from XMB.